This heavy duty EMT bag will keep your emergency medical and first aid supplies neatly organized and protected. 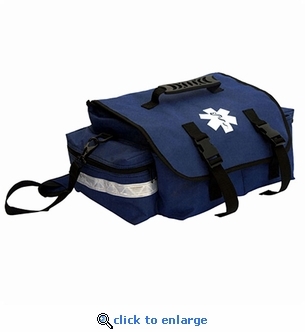 This navy blue EMT bag is perfect for creating your own medical supply kit for home, office or C.E.R.T. teams. Includes straps for medical instruments.